I've been married to the most wonderful woman in the world for 23 years, Miss Pam. Between us, we have 3 great kids, Heather, Ryan, and Erin. 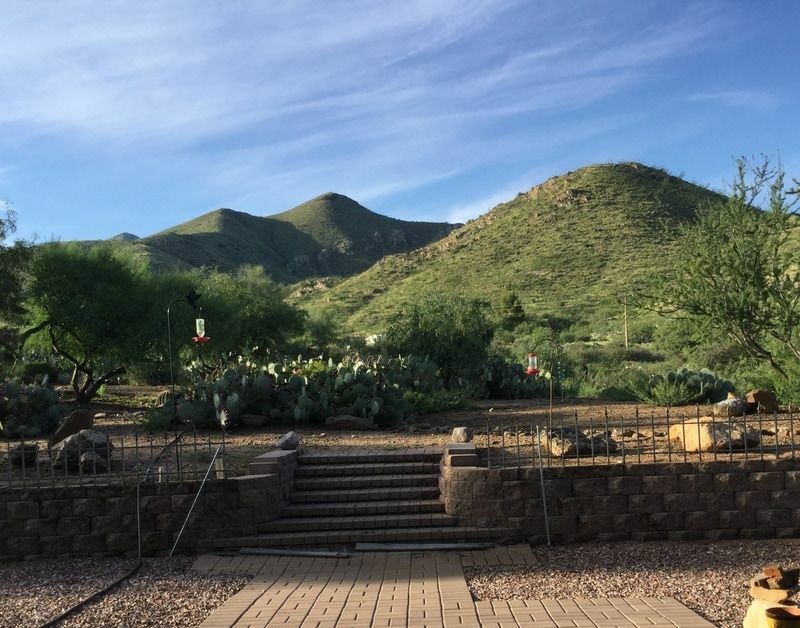 We've been in our dream home for over 7 years which is located in the foothills of the Santa Rita Mountains in Southern Arizona. We're on 5 1/2 acres at 4000 ft MSL and enjoy city views of the Tucson Valley, Southern AZ mountains, and wildlife that includes Mountain Lions, Deer, Bobcats, Coyotes, Foxes, and dozens of bird life. Sit back, buckle up and enjoy a video from Tucson International Airport while cruising the Southern Arizona desert. I'm also retired from the USAF, flew F-4s (the reason I go by "Beetle"). My USAF background includes Tactical Reconnaissance in the RF4C, Operational Flight Test, Automated Mission Planning Development, and C2 Battle Management. I'm still involved with Department of Defense with a Software Development Contractor. I'd longed to start wood turning but it was a close friend from my Air Force RF-4C Recce days that set my passion in gear 4 years ago. Ric Erkes, an RF-4C, F15 and Jet Blue pilot has been wood turning for over 25 years. I enjoy his work ( itsricsturn.com ) and appreciate him taking me "under his wing". I can't thank him enough for his time, talent, and inspiration. Whether it's sunrise, sunset or just enjoying the night air while star gazing, Living in Southern Arizona is truly a beautiful way of life.